Like my post? Follow me on Twitter. Now, why didn’t I do this before! A perfect way to combine my love of management philosophy and all things Apple, by churning out a playlist of Jobs’ Top 10 quotes. What started it all, was this recent article in Fortune Magazine that comes on the heels of Apple being selected as America’s Most Admired Company. But what I unearthed there was a slew of golden quotes from Jobs himself, who has quickly replaced Jack Welch as the one business celebrity I’d like to meet (although I came pretty close to that in the past). To make it easier to consume, I’ve broken down the quotes into two sets of five each (one set on Management and the other on Leadership). Read and Learn, my friends! I mean, some people say, ‘Oh, God, if [Jobs] got run over by a bus, Apple would be in trouble.’ And, you know, I think it wouldn’t be a party, but there are really capable people at Apple. Thanks, @neha! Glad you found it interesting. “Last Lecture”? C’mon! I’m sure we’ll see many more lectures of his. Great qotes from a great person…. where was the scrolls like butter? This quote was made before iTMS, and with it one of the strictest DRM-models ever were introduced. And for quote #7, recent happenings showed that there is no real successor to Jobs (Appe shares lowered their value), and this is for the most part his own fault. Don’t get me wrong, I do like Apple products, I just don’t like the hype around them, respectively the hype around Jobs in particular. It’s just a company like every other. I dont understand why these quotes are great … very vaguely verbalized thoughts actually !!! That one is one my wall. Steve Jobs- A very Sharp business strategist. When he launched the i-Phone on the pre-3G ATT network people wondered why he did that. The object was to lock-in the “first adopters” for two years so they wouldn’t be able to migrate to the new Blackberry when it came out. Now Palm also has a new device available. You forgot to mention that quote wher he thought Bill Gates should have done drugs like he was doing when he started Apple, MS would have been a better company now according to him. Makes you think twice about supporting a company where the boss probably still takes heavy drugs (probably where his problems comes from?). Also, there is a famous quote from him at a show when the Amiga was released, something along the line “Colors, who needs that?”. 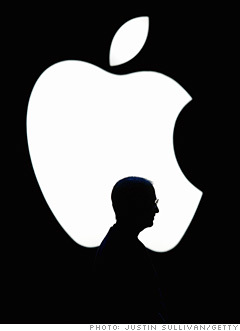 Steve jobs is truelly inspiring and i’m not saying this as a Apple fan since i don’t own a Apple computer. The company history is really interesting and it’s funny to see how he “raised” the company back after John Sculley’s time. I would love to see a serious movie about his life that depicts his life more than the company (like in silicon valley) because it seems like this man has words of wisedom. I love these quotes. I posted the 4 on hiring and recruiting on my Recruiting & HR Humor blog. I’ve added links back to this blog post and your blog in general. This is a list. Thanks! This is a GOOD list! Thanks! I was expecting something like “Boom!” hehe. good post tho. HEY GUYS PLEASE SIGN THIS DOCUMENT IN REGARDS TO STEVE’S HEALTH. SPREAD THE WORD! i’m looking forward to the comanies that will do that with cars, and powerplants ! Steve has had plenty of better quotes. Also, these are only recent ones. How true. I’m trying to instill that into my kids. Dave Matthews “Lie in Our Grave” delivers the same message. This all sounds very “great” but you are aware of the other side of the mirror at Apple aren’t you? That it isn’t in fact a great place to work at all. That some people consider Steve a deeply selfish, arrogant and very unlikeable person in real life. That a lot of people at Apple consider the company far from noble, some even call it’s Mac vs PC ad line dishonorable, as it shows Apple cannot simply get on with making great products without also trying to verbally ridicule it’s opponents. I think this should be in there, it’s a great quote by Steve. First off, DRM is rapidly falling away from iTunes. It’s already official for the major labels. Some of the smaller ones are jumping on as well. Try to keep up. And secondly, you are showing some ignorance when you say “recent happenings showed that there is no real successor to Jobs….” You clearly don’t know much about Apple’s history. Jobs left the company previously once before for cancer treatment and it didn’t go off the rails then. Obviously, the people under Jobs can step in an fill his shoes. They’ve already done it once. Yea, I like that last quote about life. It’s pretty on-key. You people sound as if there was no life before Apple came along with their wisdom. Please understand, there was , and it was better than today in a lot of ways. This is a GOOD list! Thanks!! Steve Jobs to former Pepsi President John Sculley when trying to hire him at Apple. Steve has had plenty of better quotes. Also, these are only recent ones.. The last quote is my favorite.. I read these quotes and Jobs is a genius. When he was kicked out of Apple it was close to be extinct but he came back in with even a bigger swing and made the world today. No other company or man could of made the technology he has made. It would of taken years. I think the difference between Apple and Microsoft is that apple really genuinely cares about what they make and of course there in it for the profit otherwise they wouldn’t be doing it the reason why apple products work better and have hype is because all there previous products have been so revolutionary everyone wants to know what there going to make next. He is the best CEO I have ever heard of. I appreciate steve but on the other corner he is not as good as compared to Billgates if you look at personal character wise. The glory of the path leads to heaven.